Everyone has their thing. The thing that they get totally geeked out about when they have a chance to engage in it. Take for instance my husband. He TOTALLY nerds out when it comes to knives, guns, sushi, and dogs on Instagram (as well as our own pups). He knows a lot about each of these and, especially when he’s thinking, talking, or reading about the first two, has this super serious face. My thing is learning. Super nerd, I know. I have been called a smarty pants and a professional student. At one point it felt awkward and like it should have been my hidden thing, but I have learned (no pun intended) to embrace it. I get super stoked when it comes to visiting a bookstore or searching an on-line library for a great resource. Reading articles? I take along a pen and highlighter to capture those points that stick out. A new system or application? I punch all the buttons to figure out what they do. Someone wanting to run an idea by me? I’m texting ideas even after the conversation is long over. The big picture is missing? I find it and help others understand it. Homework to be done? I would work on it at the tattoo shop while the hubster was getting inked. 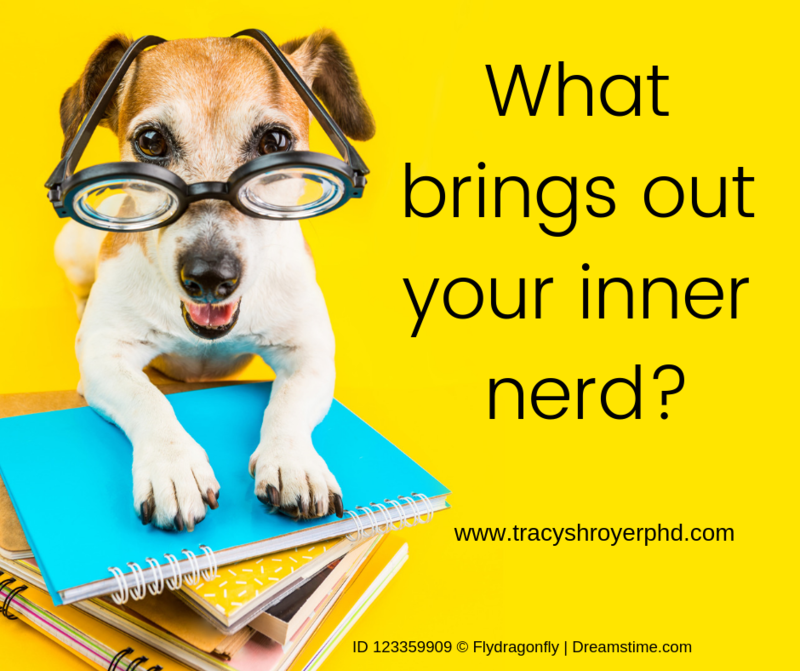 Hi, I am Tracy Shroyer and I am a lifelong learner. I get all excited and am known to yell out “shut your face!” when I learn something new, or someone I know well learns something new. What can I say, it’s my thing.